"Always one step behind" idea: 1st Turn: Choose card, place face-down. 2nd Turn, and on: Choose, place again. Then reveal prev turn's card. Whenever I toss out a little idea like that on Twitter, it's a fast way to find out if that mechanic has been used elsewhere. Turns out this one is the central mechanic of the Killer Bunnies franchise. It's also present in the 1960s game Nuclear War and more recent game Wings of War. Okay, I'm a day late for a Valentine's themed game, but the them is pretty loose anyway. 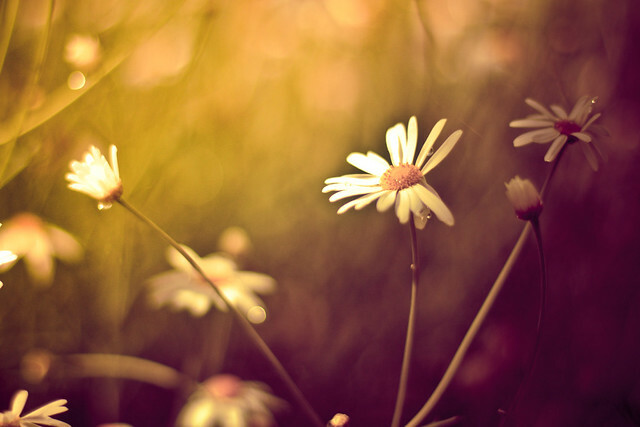 This game is inspired by wistful romantics plucking flower petals while muttering "he loves me, he loves me not." 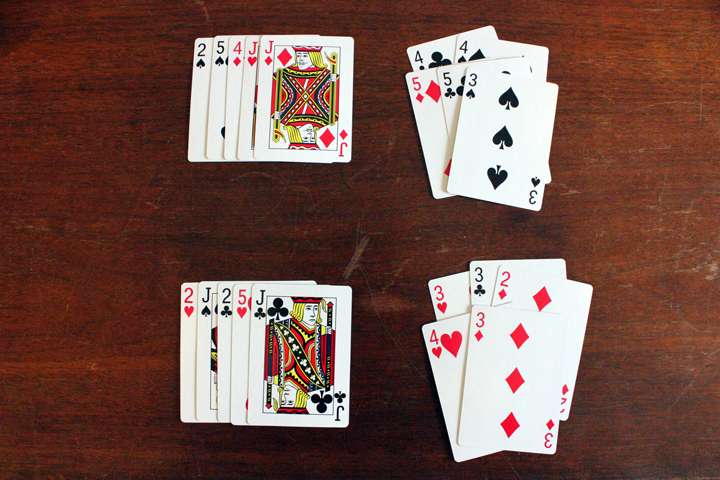 In this game, players will take two cards, accepting one into a tableau and discarding the other into their own discard pile. Scores are based on suits in tableau multiplied by suits in the discard pile, so choose wisely! The deck is comprised of 2-5 and J of each suit in a standard playing card deck, for a total deck of 20 cards. 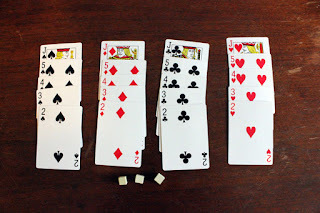 You also need three cubes, which are used to note the winner of each match. 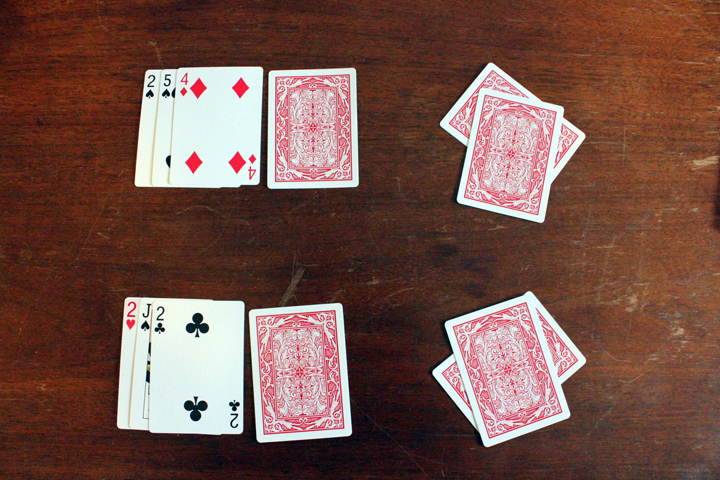 Each player takes turns simultaneously. Example of a complete first turn. 2) Choose one and say "he loves me." Place this neatly in front of you face-down. This is the start of your TABLEAU. 3) Place the other card haphazardly face-down to your side and say "he loves me not." This is the start of your PILE. Example of game in progress, through turn 4. NEXT TURN, AND THEREAFTER: Repeat as above. Additionally, reveal your chosen tableau card from the previous turn. 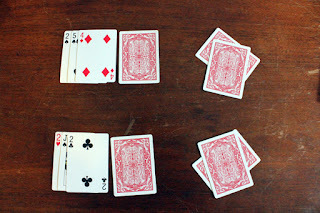 Example of end of game. FINAL TURN: Repeat as above. Additionally, both players reveal their final chosen tableau card simultaneously and reveal their discard piles. The match ends after five turns. You score all cards in the following manner. 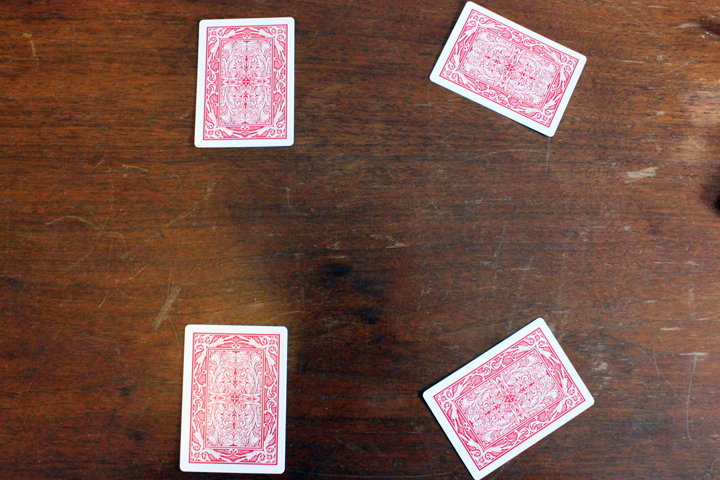 So, if you had two hearts in your tableau and two hearts in your discard pile, you'd score four points from hearts. Repeat this for diamonds, clubs and spades. Then you score bonus points for jacks in your tableau, in the following manner. So, if you had a Jack of spades in your tableau and your opponent had three spades in his discard pile, you would score 3 points from this jack. Repeat for each face card in your tableau, even if they're part of the same suit. 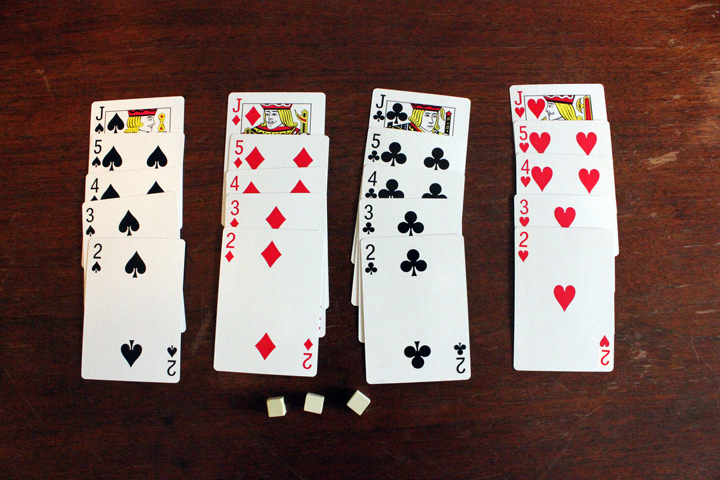 The player with the most points wins the match. The first player to win two matches wins the game. UnPub Mini at Atomic Empire in Durham NC!